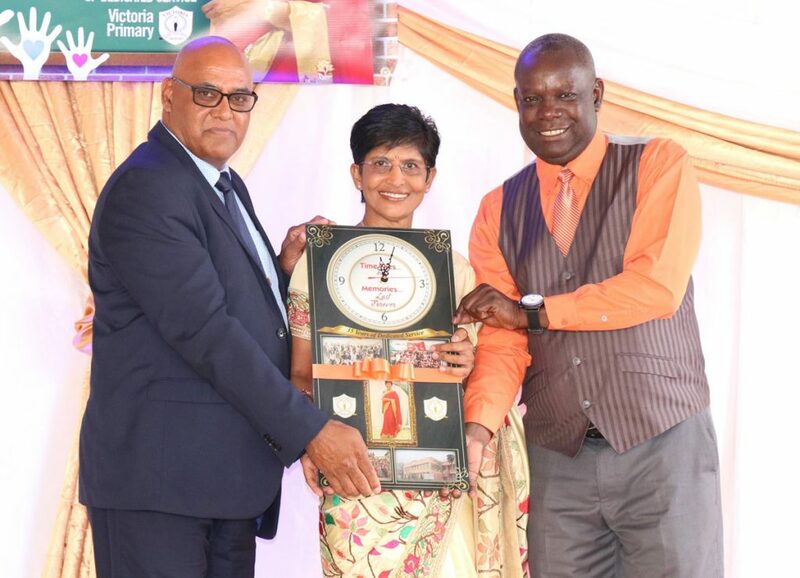 Victoria Primary School in Tongaat bade farewell to one of its most distinguished and long-serving educators, Pamala Naicker. Naicker served her profession with distinction for 35 years. She began her teaching career at the RA Padayachee Primary School in 1984 where she taught for a decade. However, it was at Victoria Primary School where she made the greatest impact over the last two-and-a-half decades. School principal, Lajeeth Maharaj was full of praise for Naicker when he addressed the audience at a recent farewell that was held in her honour. “She was indeed a role model to the rest of the educators and her contribution to this institution will live in our memory for a very long time,” said Maharaj. “Naicker had an insatiable appetite for hard work as well a distinctive disciplined framework during her time as a teacher. This highly skilled teacher and proficient administrator will be a great loss to Victoria Primary School,” he said. Naicker thanked all her learners, present and past, her colleagues and parents for allowing her to serve education and gaining an “immense sense” of fulfillment. “Victoria Primary School wishes Pamala Naicker all of the very best as the curtain comes down on such an illustrious teaching career,” added Maharaj.